Very cloudy with high chances of rain. That was our expectation on Saturday morning as we drove up the petrol station near Heverlee, which was our rendez-vous point before heading out to Spa. 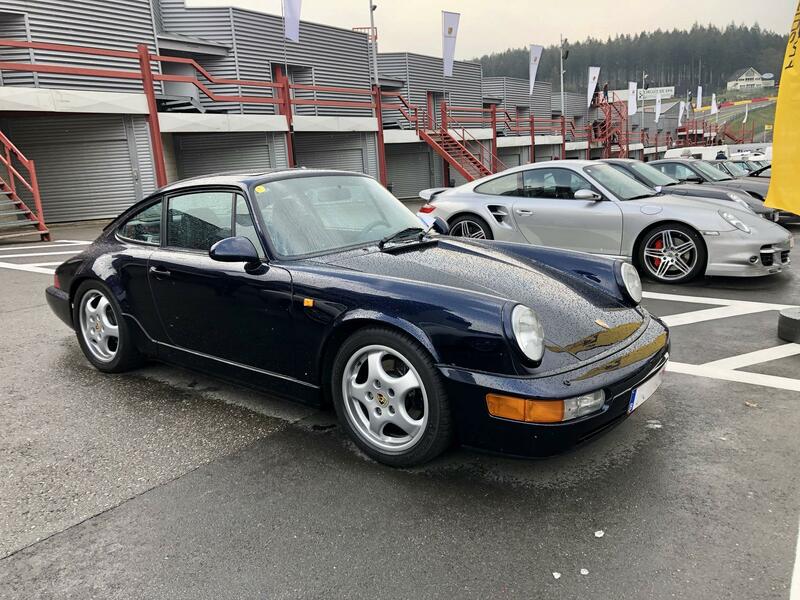 Although chilly, the sun was shining brightly as our group including a 2008 GT Silver 997 Turbo and a 1993 Night Blue 964 Carrera 2 departed for another edition of the biggest Porsche meeting in Europe. 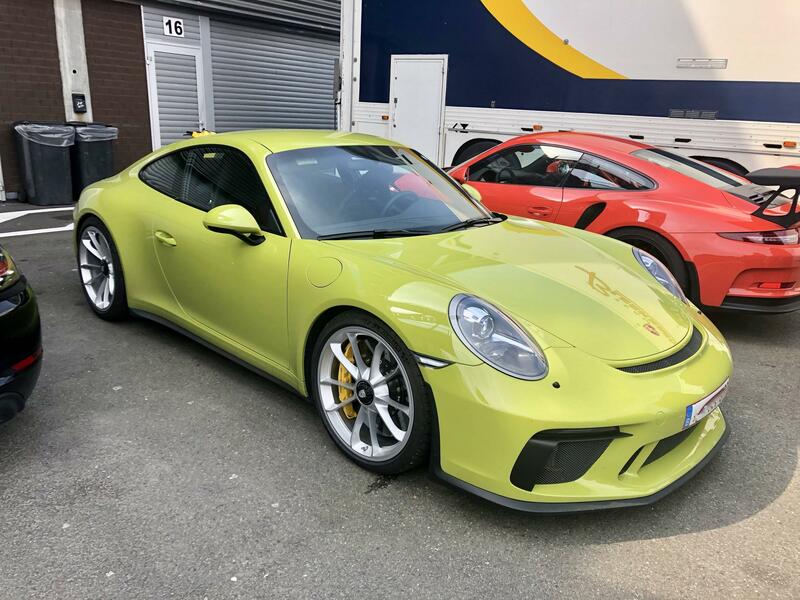 Our hopes were high again this year as the Porsche Days are the real deal for any enthusiast; featuring Porsche cars from all types, ages and colours in the great green atmosphere of the Belgian Ardennes. Our hopes to repeat last year's very sunny and successful edition were quickly cut short as the temperature dropped significantly upon approaching the racing circuit. Occasional rains translated into occasional drops of snow. As a consequence the turnup remained very low versus previous editions as the day unfolded. 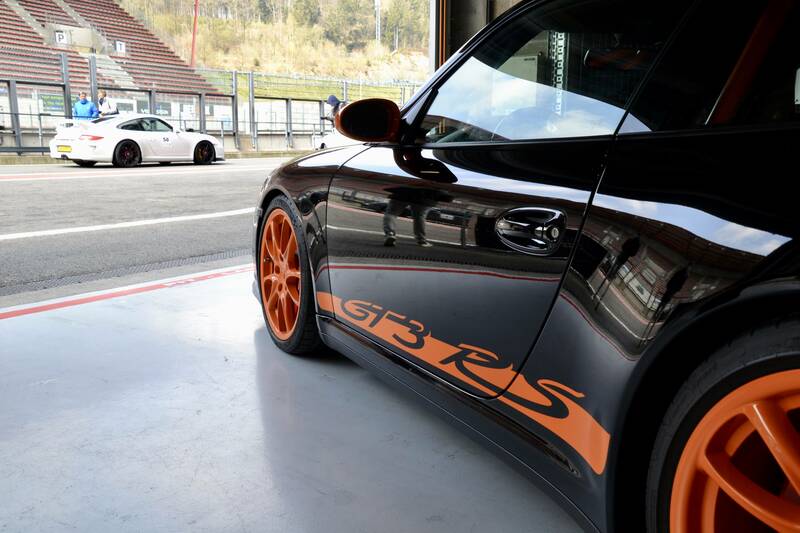 Almost no Porsches to be found on the parking near Le Raidillon upon arrival, so off we went towards the paddocks where we were immediately caught by the sound of high-revving GT engines. 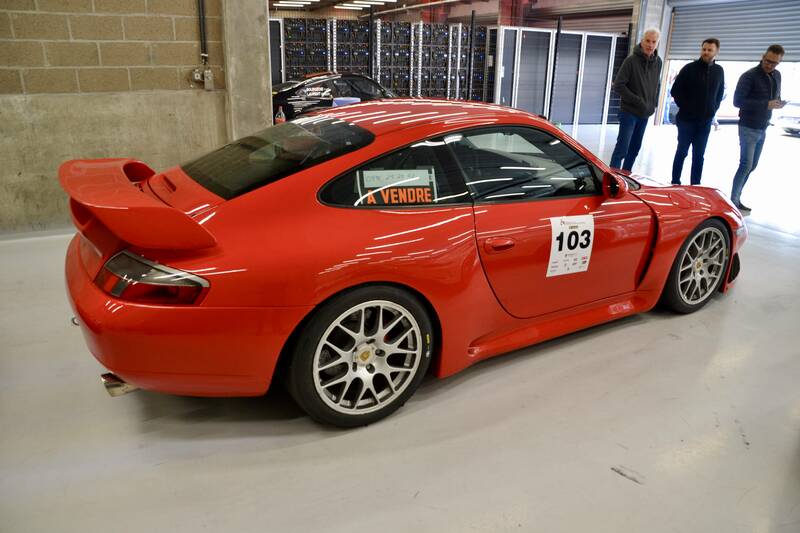 The unfavourable weather conditions resulted in the absence of many classic Porsche cars. 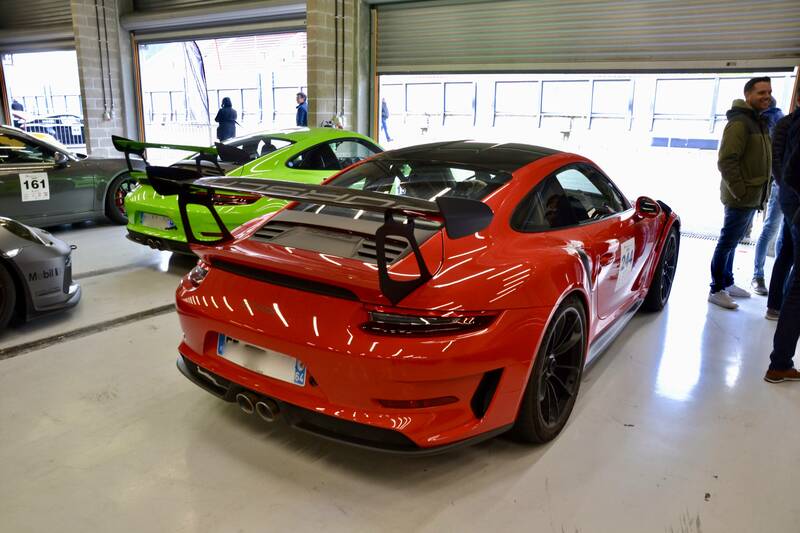 As a consequence the Porsche Days seemed like a meeting of GT cars more than anything else, with especially the latest 991.2 GT3 and GT2 RSes being highly popular in numbers on and around the track. 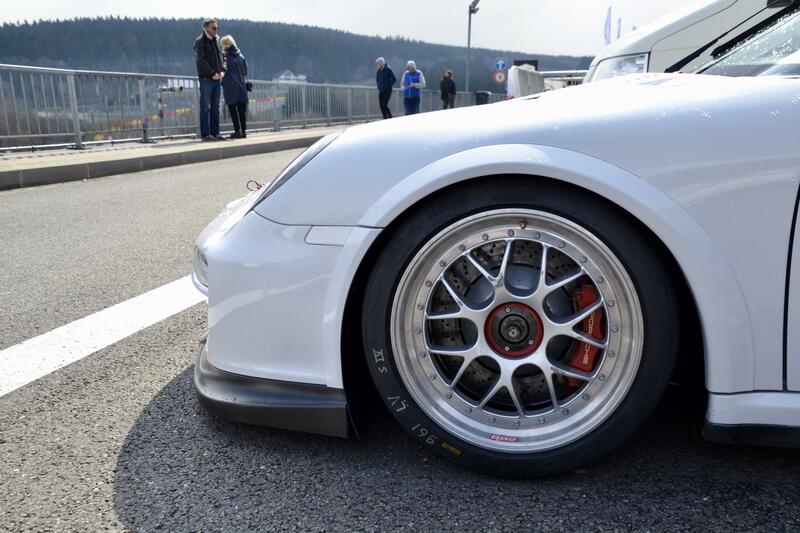 Through the maze of GT3s we even spotted a few cars which are quite the business on Instagram these days. 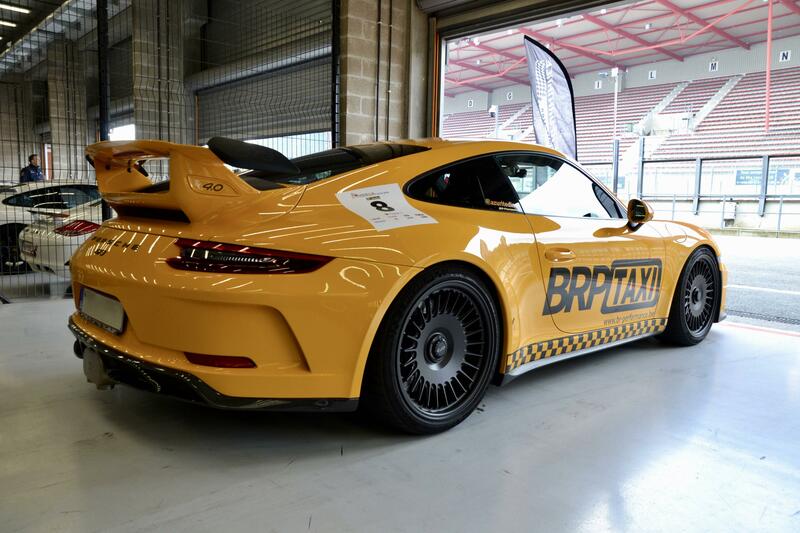 Below is the Signal Yellow GT3 of Azuritedim4 equipped with an Akrapovic full evolution system which unfortunately had to be muffled for the occasion - the car was black flagged twice for breaking the decibel limits on an earlier day. 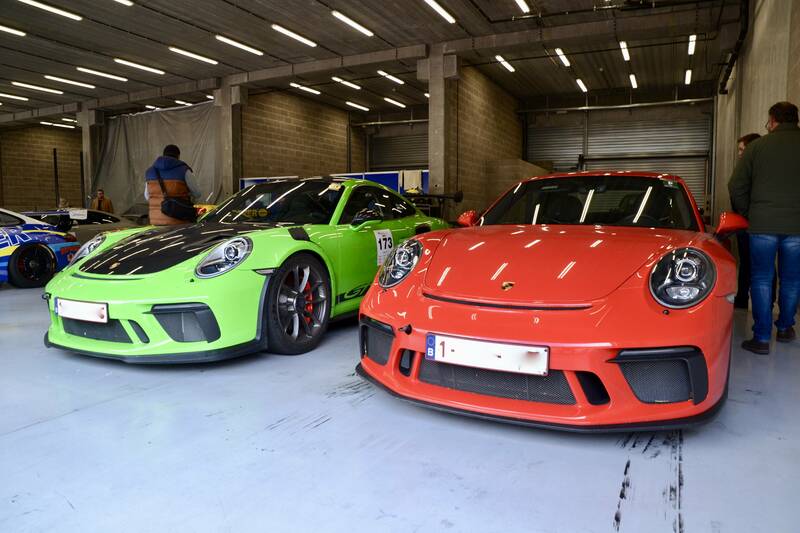 Also present were the Guards Red GT3 Touring and Lizard Green GT3 RS belonging to Warren Gardiner a.k.a. 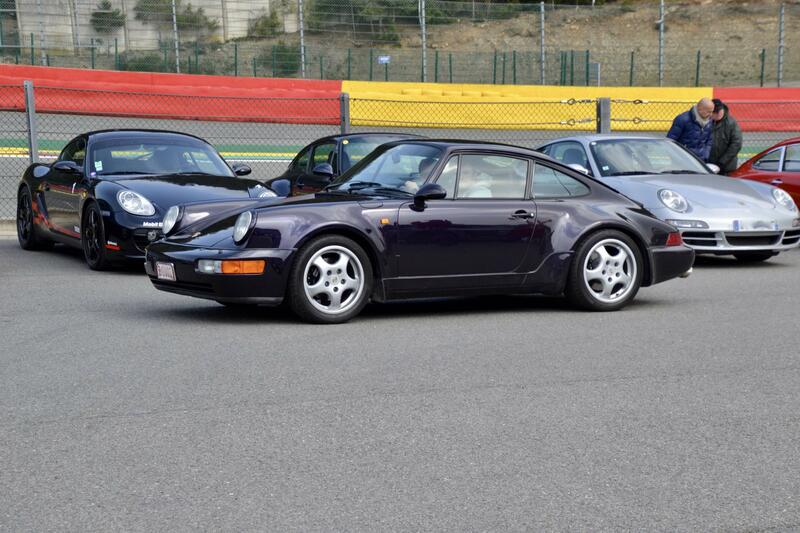 cmg4511, unfortunately this time not in the illustrious company of his 964 RS to complete the trinity. Having spent some track time at Abbeville with his cars it was great to see part of his collection in the paddocks of Spa. The cars were driven in company of Total 911 reporter Lee Sibs which gives us good hopes to see a nice magazine special coming up in the near future! As the afternoon approached the number of visitors started to increase. Still not anywhere near that of previous editions due to the cold and snowy conditions, but at least the area near La Source stopped looking like no man's land. 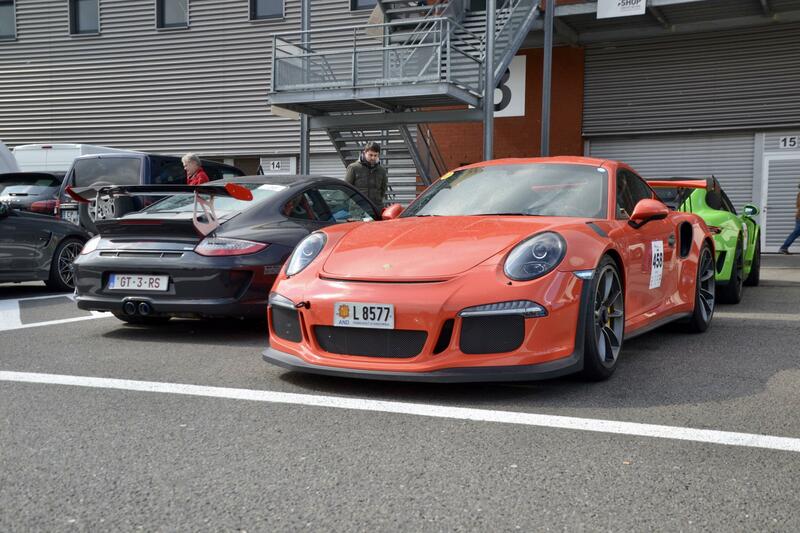 Among the Porsches parked at this end of the circuit was the brand-new GT3 RS belonging to Instagrammer trak_car who is completing a tour of European race tracks before heading back to the USA. 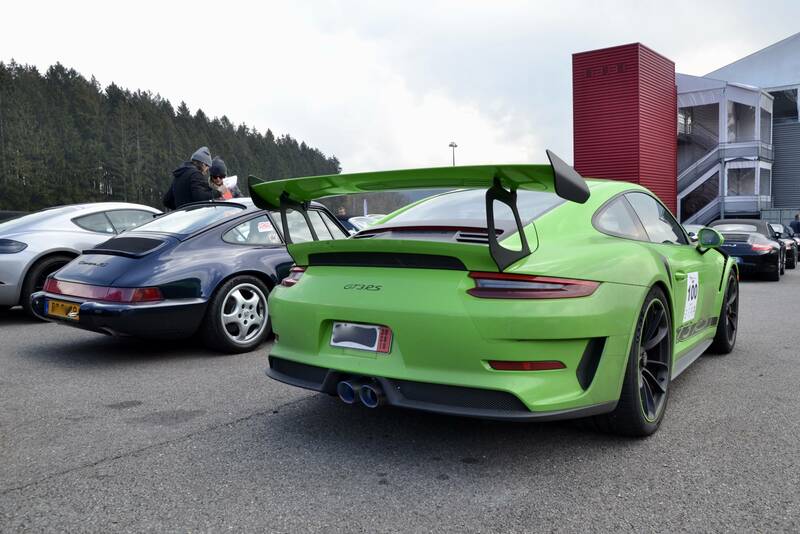 Here is a snap of his precious Lizard Green track machine parked next to one of its air-cooled ancestors. As the pictures already give away there unfortunately weren't many classic 911s to be spotted among the wide array of Porsches. 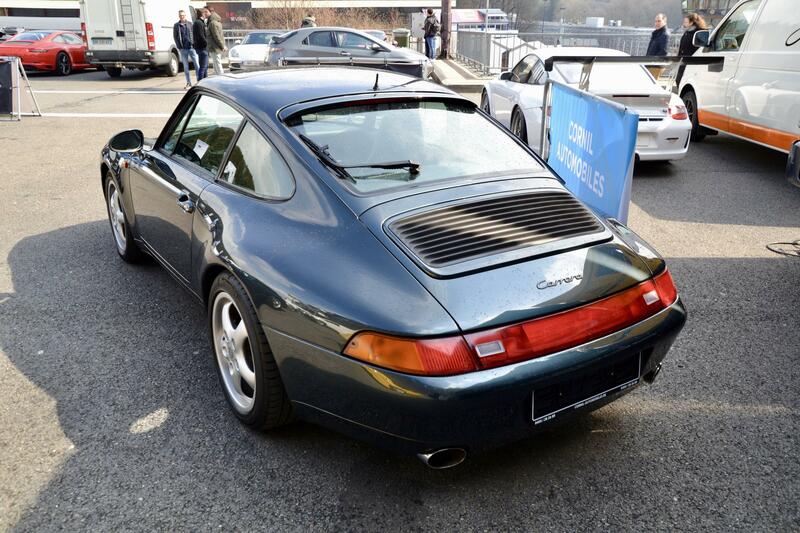 Perhaps this Viola 964 Jubi was the most remarkable air-cooled 911 we could find, in addition to the three or four Carrera RSes of the same generation that were present. 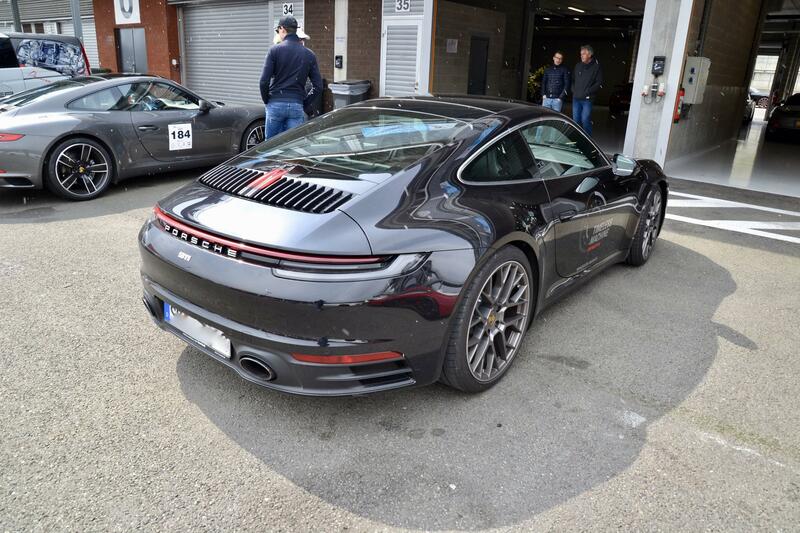 The latest 992 generation was also present near the paddocks (not on the track). 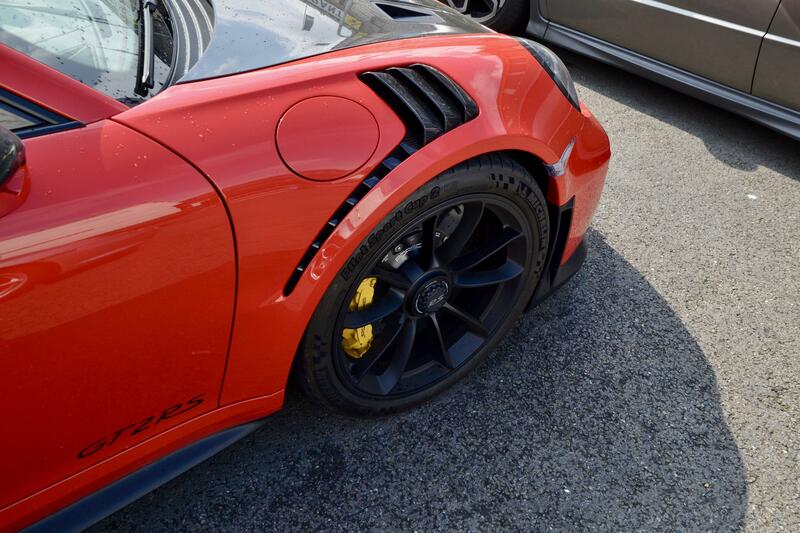 This gave us a first chance for a closer look at the newest Porsche 911. 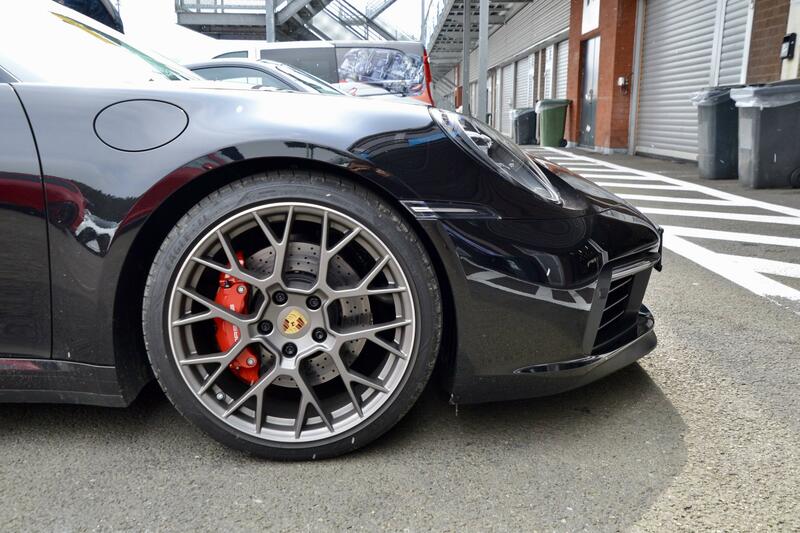 This example was a Carrera 4S finished in Basalt Black and equipped with the sports design package. The lower position of the license plate in between the tail pipes gives the car a much more futuristic look (fittingly dubbed "the Robocop" by some) which takes some getting used to by most enthusiasts. If one thing has been made clear from our up close and personal encounter with the 992, it is that the 21 inch RS Spyder wheels are the ones to take. Finished in dark grey these wheels look every bit as impressive in real life as they do on press photos. 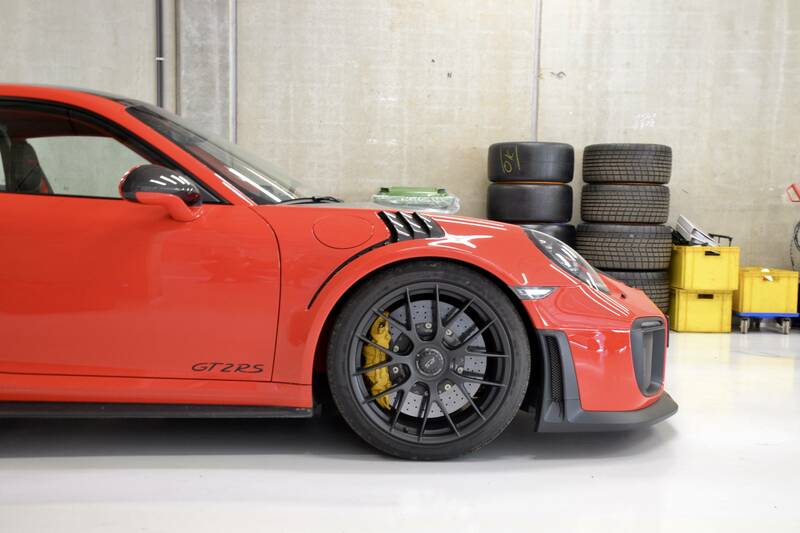 And here is a Guards Red RS for those who wonder if there were any new GT3 RSes finished in a color other than Lizard Green. Quite a refreshing spec with Weissach Package and black wheels. 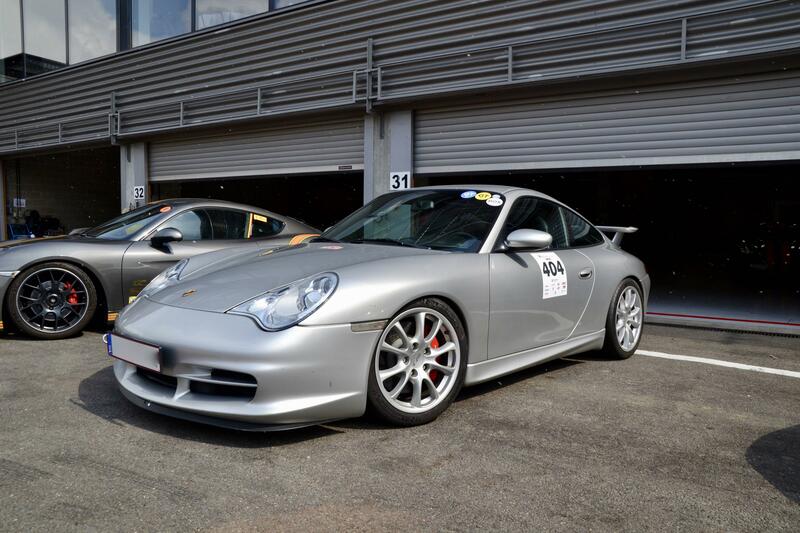 We close with a refreshing sight among the vast collection of new GT cars: an Arctic Silver 996 GT3. After many years the 996 is finally coming out of the shadow to establish itself in the world of classic 911s. 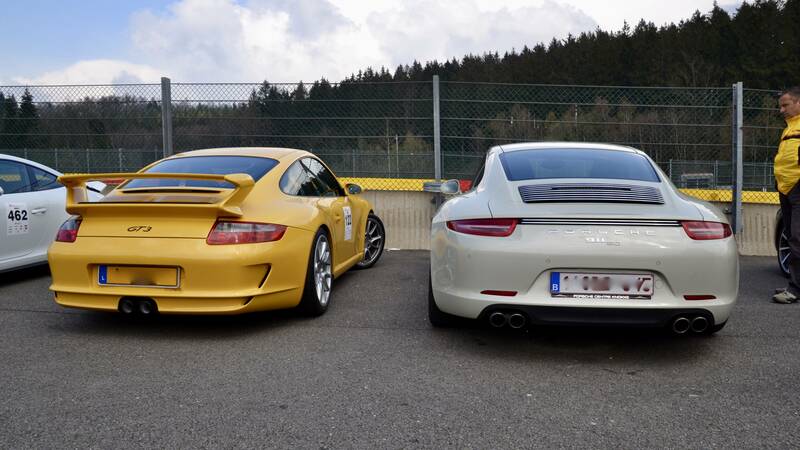 The GT3, Turbo and Carrera 4S models have been increasing in value the past year but still seem a bargain compared to older cars.